Do you like to watch videos? The best way to find out if ScholarVets is the right fit for your education institution is to watch this video. Contact Us if you have any feedback. Thank you! 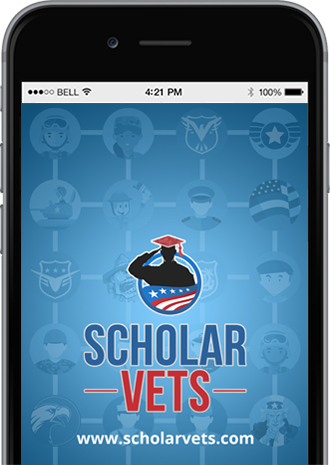 ScholarVets empowers school administrators to better support their veteran student communities. Support us and support education for vets! 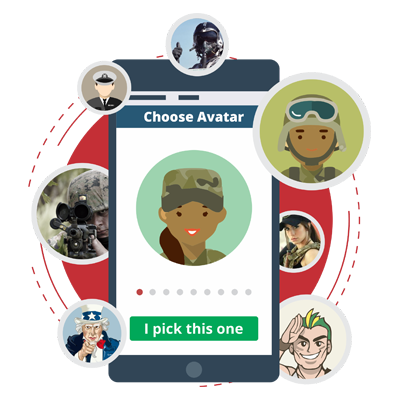 Create user profile with avatar icon. To support America’s veteran and Military connected college student ecosystems. Every veteran and Military college student would graduate and all would quickly obtain meaningful employment while also contributing time and money back as successful alumni. 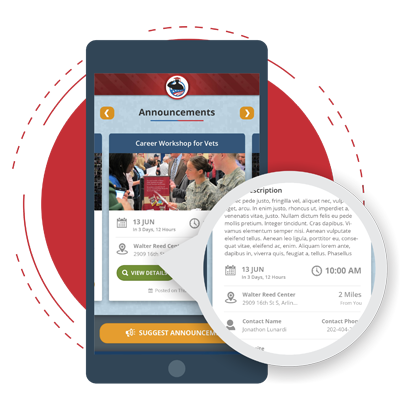 ScholarVets is a solution to network students together to develop a custom Virtual Veteran Resource Center VVRC) and online messaging system. Administrators can bring their veteran ecosystem together to combat isolation and feeling of not fitting in. Our VVRC is a retention and graduation system. 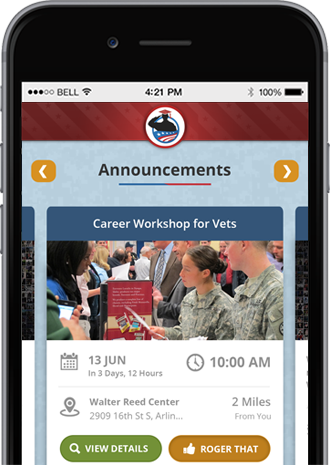 It is also tied to an employment platform within ScholarVets. Your institution can now offer a virtual student lounge to your Military connected students to empower their learning and academic success! Your school can easily enable students to sign in using their student id and password. this gives credibility and increases adoption, win, win! 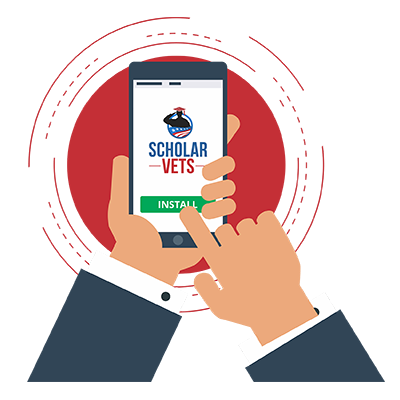 Veterans are the heart of what ScholarVets is all about. The platform is exclusively for this demographic of the US population. Hoorah! Hooah! Many active duty Military go to college while they are in the Military. Also, active duty spouses and children can register on ScholarVets if they are using some of their partner/parent’s education benefits. TRADOC cares about their Military training, most of them are Officers, so investing in ScholarVets is good because it will connect all Military within each college. 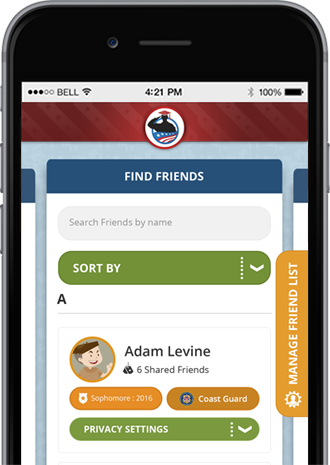 Spouses of active duty Military members and spouses of veterans are allowed to create accounts on ScholarVets. 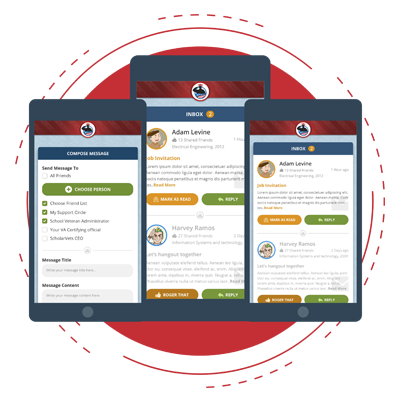 These persons are automatically connected through matching and suggestion tools within the platform. Their ability to communicate in a secure, trusted way is paramount to their educational success, which ultimately influences the overall “houseold’ or family in a positive way. Children of active duty Military and children of veterans are allowed to create accounts within the ScholarVets system. These users are automatically connected together to ensure peer to peer educational support. Children have unique needs and ScholarVets understands this and has this in mind in all that it does. Faculty ultimately give the grades to their Military and Veteran students. Enabling faculty to have better visibility into who their MilVet students are and having training easily available to understand the unique needs and situations of their MilVet students. This will cause better educational outcomes for Military and Veteran students. 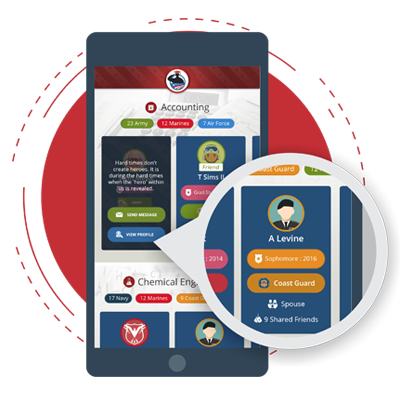 SV is integrated with all the major LMS platforms in powerful ways. 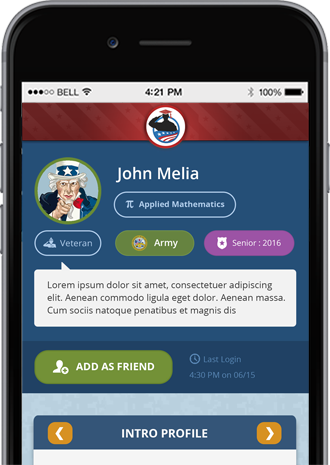 Admins control their school network of Military and Veteran students, faculty, and staff. The site admin and sub admins within each college of large school can message users, post announcements, change settings, and receive data and reports. Schools pay SV to give their admins access to their SV school network dashboard and tools. 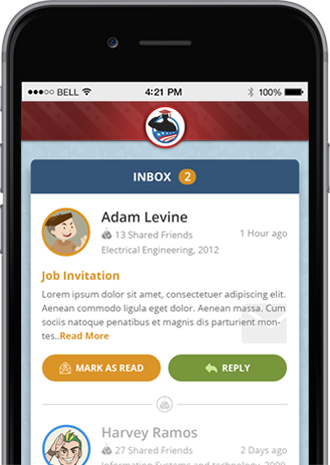 Employers create company profiles, can post jobs, and datamine users based on degree and graduation year. Students can follow companies and indicate their interest level in becoming an intern, employee, or 1099 contractor. SV also enables local, small businesses and other companies to post jobs for part-time work and virtual 1099 work. We want veteran students to be able to find work throughout their transition after Military service. Alumni that are Military connected students can request access to their MilVet student networks. Admins of each school must approve each alumni before they have access. Integrations with alumni databases is optional. Alumni can provide awesome content to engage students with and also become better donors due to the closeness with the teaching experience. 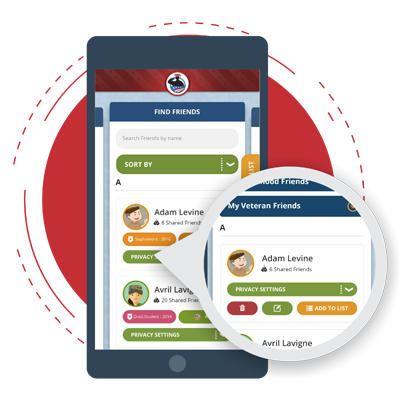 Advocates of Military connected students can use the Advocate role to request permission to have access to the school’s MilVet network. Admins of each school must approve each Advocate request. 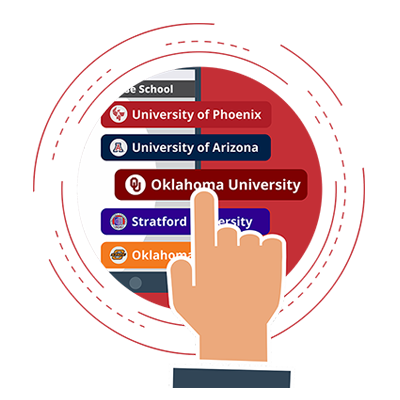 Prospective students or Future students can come from existing, verified users on the SV platform from other school networks or they can select the Future student user role, which still has not been built yet. Existing users can indicate their interest level in attending other schools on the SV network. This is a major benefit for recruiting efforts. School admins can ask local businesses to become sponsors by paying them money to post their banner ad and some messaging to their school network. This can help offset the cost of ScholarVets. SV is committed to reducing the cost of SV while maintain the quality of the product innovation and evolution. SV does plan to enable non profit client schools to receive Donations from users within their school network. There will be donate button on each user’s menu which will take a user to several donation options for general and specific scholarships. 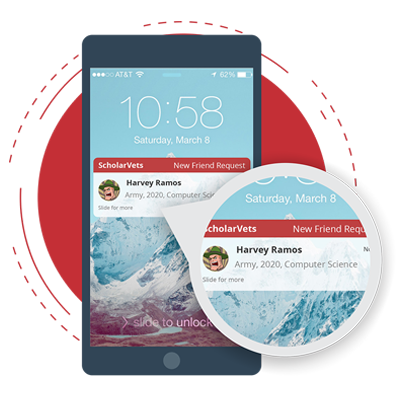 Donor information is trackable and reportable over time to enabling easy and fast future updates. CEO of Concepts Communication Inc.